Hancher announces its full season without a building. From big band sounds to tap dance performances, family-friendly shows to an edgy Broadway musical, Hancher Auditorium's 2009-2010 lineup features enough variety to keep anyone entertained. About all that's missing from this season? The auditorium. 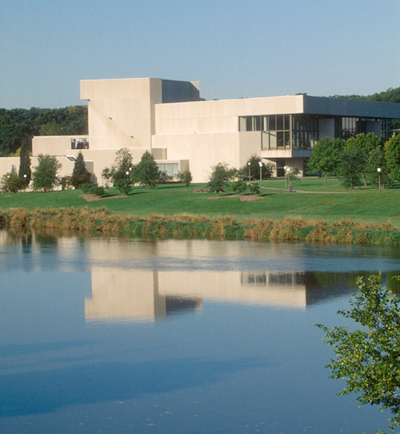 Though the June 2008 flood left Hancher without a permanent home—and university officials are still researching the best location for a new auditorium—staff members have organized a robust season that brings the performing arts to audiences in eastern Iowa and beyond. Aptly themed "Can't Contain Us!," the year opens with three Joffrey Ballet benefit events for Hancher and the UI School of Music in Des Moines and Chicago. Hancher also will host shows on the UI campus and in Iowa City, Riverside, and Cedar Rapids. "We have always thought of Hancher as much more than a building," says Hancher executive director Charles Swanson, 75BBA, 76MBA. "Hancher Auditorium was a special place—a place of so many glowing memories. But while we are without a facility of our own for several years, we will continue to do our best to fulfill our mission—to augment the educational programs of the UI and to enrich the cultural life of the university and the state. We view it as both a challenge and an opportunity."